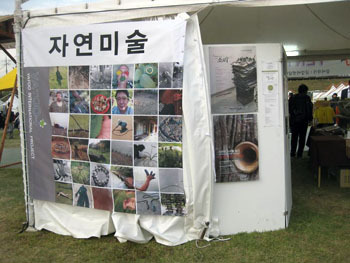 International Residency Program and exposition, Geumgang Nature Art Biennale where Yatoo International project (YATOO-I) was launched, Dorsan Peace Park Project, International Invitational Exhibition, ‘Monumental’, Yatoo Nature Art sculptures and literature on display at Gongju’s Baekje Festival. 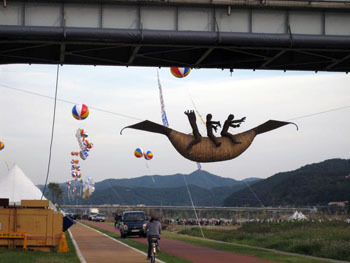 In addition Mr Ko undertook the task of organising the international artists involved in these programs. (Trying to organise artists I am told is like trying to herd cats)! 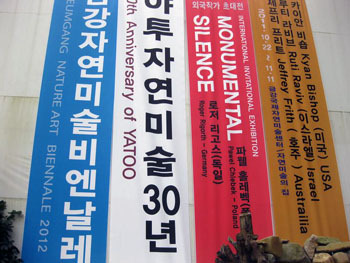 For my exposition I prepared an 8 minute slide show which I presented to members of the Yatoo Nature Artist’s Association Committee and fellow artists. 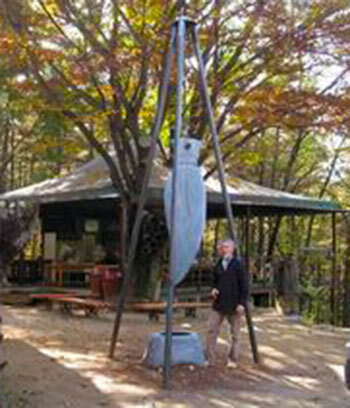 While giving a brief introduction to some of the nature art works in the Nature Park, most of the images deal with the making of the stone sculpture and its installation for those interested in process. 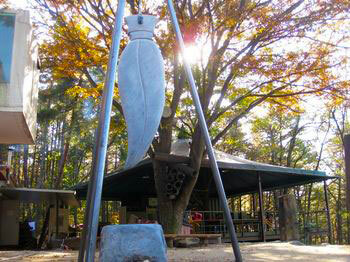 The sculpture I was oiling was a small version of the large stone ‘sword/leaf’. 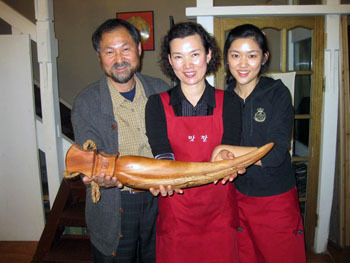 I used an amazing wood, a cross between a silky oak and a maple, to make this work which I signed with the JF logo and duly presented to Mr Ko’s wife at her restaurant. It felt good to be able to express my thanks and appreciation for all the meals I had enjoyed. (I had anticipated buying and preparing my own food for 4 weeks but instead I enjoyed traditional Korean food every day). And of course, no Korean meal would be complete without kimchi. Koreans serve the spicy fermented vegetables at almost every meal, and few Koreans can last more than a few days before craving more. My hosts were surprised when I told them I had kimchi at home in Australia and enjoyed the taste.